Peel the ginger root with a vegetable peeler, and cut into thin rounds. Bring the stevia and water to a boil over medium high heat. Add the sliced ginger and bring the mixture back up to a simmer. Remove from heat and allow to steep for at least 30 minutes. Strain syrup through fine mesh. Discard ginger. 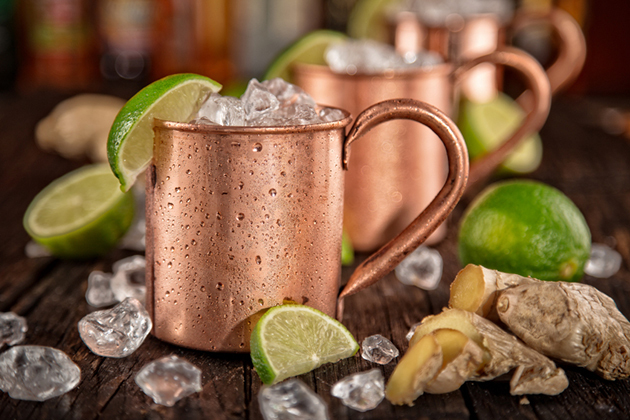 Then, combine vodka, Stevia In The Raw Ginger Syrup and soda water in a copper mug filled with ice. Stir gently and garnish with a slice of lime.